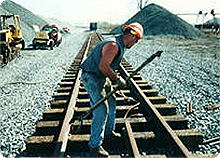 We perform track maintenance services along with new RR spur construction and track retirement. 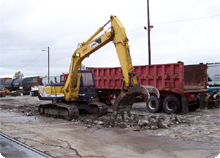 We have over 19 years experience in excavation, grading and site preparation for your project. 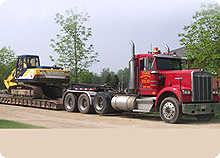 Our transportation fleet includes dump trucks, drop decks, flat bed trailers and low-boys. 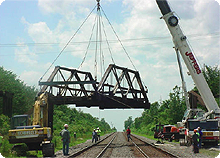 CC&G Enterprises, Inc. provides expert contractor services for a variety of industries. We offer professional services for the railroad and petroleum industries and the rock and glass industry. 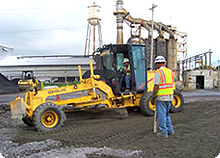 In addition, we service large commercial and industrial projects. Our solutions to your needs are knowledgeable, timely, and cost-effective. Our objective with any project we undertake is to "get it right the first time." We offer a wide variety of services to meet your needs. Call us today at 419-855-9939 or send us an email to find out more about what we can do for you! 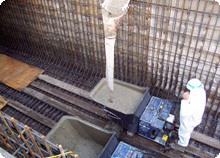 We perform all types of commercial concrete projects for business, government and organizations. 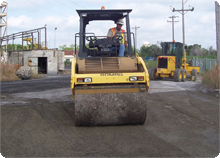 RCC is quickly installed with asphalt paving equipment. We can save you down-time for your operation. 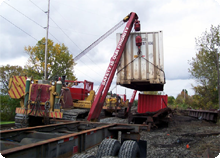 We have experienced & qualified operators as well as a wide variety of cranes and construction equipment. Can't find the service you are looking for? Contact us for more information.